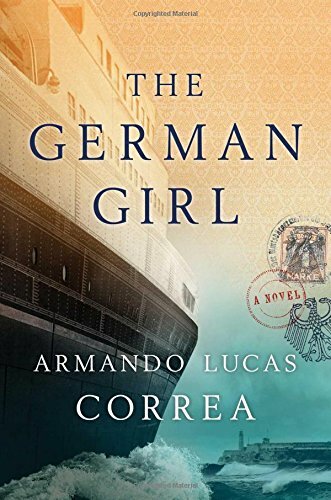 The German Girl: A Novel by Armando Lucas Correa - Frugal Mom Eh! The German Girl is told from two perspectives: Hannah – the German Girl whose story begins in the streets of Berlin during 1939 – and Anna, her only living relative 70 years later. It is written in the vein of The Nightingale and All the Light We Cannot See in that the story being told is riveting and envelopes you in the forever changed life of a girl affected deeply by the Nazi regime. The writing is beautiful, descriptive and strings you along right up to the masterfully written and satisfying ending. I enjoyed the parallels between Nazi Germany and Communist Cuba – I had no idea that Cuba sent “enemies of the state” to work camps. I’ve been to Cuba several times, the first time was in the late 90’s when I spent two weeks among the locals in Havannah, Varadero, Cardenas and a small town named Itabo. The descriptions of Havana were very familiar (The author is Cuban) and brought me back to when I was 16 and walking through the streets of Old Havana… particularly while walking down the Malecón waterfront promenade as waves crashed against it, spraying water up at us. Hannah’s story is a unique and heartbreaking story of loss and it does an incredible job of bringing to light the story of the St. Louis and it’s hero captain Gustav Schroder. This is a truly exceptional piece of historical fiction that you are sure to enjoy if you loved The Nightingale and All the Light We Cannot See. This sounds like a great book. I am going to look for it at my local library. I really like the sound of this book, interesting, intriguing and sad too. This does sound like a book i would enjoy reading even though it’s a heartbreaking story.Thanks for the review. I love Cuba too but I had no idea about this piece of history. I’ll have to read the book to learn more! This book sounds very interesting. Hope to read it soon.